Greater Noida has excellent connectivity and has become a prime upscale area of NCR. The area has grown phenomenally, with the development of world-class infrastructure, to become a very sought after commercial district. This urban hub has become the prime choice of the urban elite to live and work, driving property prices to great heights and is an optimal choice for people to invest and reap in great financial returns. One of the advantages is optimal location and connectivity. The Noida-Greater Noida Expressway connects to Delhi seamlessly. Alpha-II metro connectivity is developing at a fast pace. Reputed hospitals schools, universities, mall, and hotels are within easy reach. There is an international airport coming up soon. The USP is the fact that 3 major expressways that connect this area are Taj Expressway, Noida-Greater Noida Expressway, and FNG Expressway. 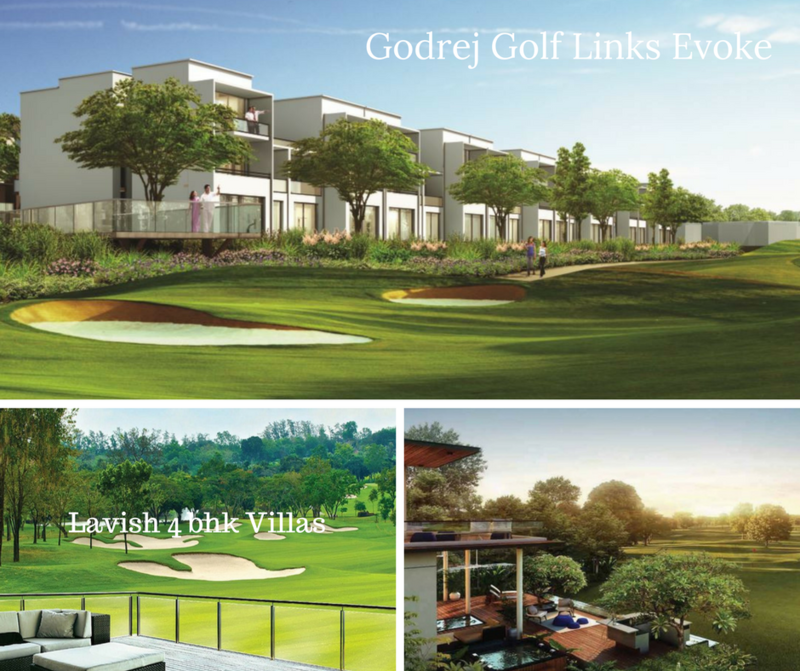 A newly launched seven-star living, a luxury project at Greater Noida is Godrej Golf Links Greater Noida which has exquisite residences for the crème-la-crème, urban elite, wanting the unmatched experience. This masterpiece project is being developed by Godrej Properties. It is a seven-star ultra-luxury residential project coming up very near Pari Chowk. It is a part of a 100-acre township with two more projects in the same campus which are Godrej Golf Links Crest, Greater Noida, and Godrej Golf Links, The Suites, Greater Noida. The entire township has exclusive Golf Villas on offer and is RERA certified. The entire project is designed by BDP of the United Kingdom. World-class features beyond compare befitting a seven-star project include a 1.8-kilometer golf course loop road connector, a grand golf course, a high-end retail space, and a sports arena. A Himalayan range practice academy, a 9-hole organic golf course, an Olympic size heated swimming pool, state-of-the-art sports arena, and a golf park would be mind-blowing. A golf club with a pro shop, fine dining restaurants, business center, and bowling alley would sure make jaws drop! Amenities that would make living here an out of the world experience are multiple sports facilities like courts for tennis, basketball & volleyball, gymnasium designed by Holyfield Gyms, a stylish spa and salon by Warren Tricomi, a sports academy by Tenvic, and a golf academy by Golfing Nations. Also included are features like multi-level security, and 24-hour power backup. To blow one’s mind are features like a spectacular Sky Lounge on the 21st floor, a 24 x 7 concierge service, and acres of landscaped green boulevards and green areas at Godrej Evoke. Each villa reflects grandeur and luxury with breathtaking interiors that include private elevators, kitchens that are designer complete with built-in appliances, walk-in closets, Italian marble flooring, VRV/VRF air-conditioning, and party terraces. Top-notch specifications are designed for the next level of living.